The Rusty Shovel Landscape Shop is your one-stop shop for all of your landscaping needs in Regina. We offer the products and the knowledge to pull off all your projects: irrigation, hardscapes, artificial turf, water features, landscape rocks and everything in between. We’re locally owned and operated so this lets us treat every customer like family, making sure they get the absolute best product and advice for the job. The Rusty Shovel Landscape Shop was founded in 2010 by Steve and Bev Kesslering and their nephew Sean and Katlyn Stefan. Born out of the wholesale irrigation operation Rain Pro Supply that Steve started in 2002 and the online DIY sprinkler system company (Sprinkler Daddy) Sean and his Dad Randy started in 2008, The Rusty Shovel was a response to the growing Saskatchewan market and a lack of quality, independent suppliers offering good quality products with great advice at a competitive price. 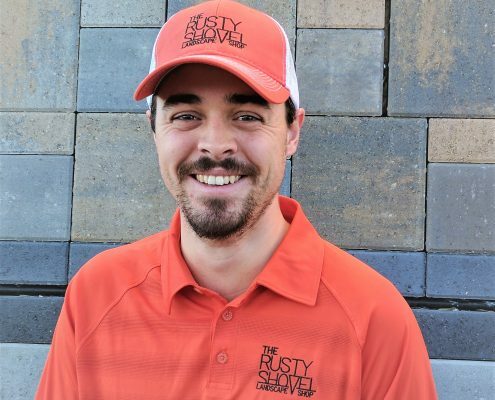 To compliment the already strong offering of irrigation products, The Rusty Shovel added a full line of water features, landscape lighting, hardscapes, artificial turf, specialty rock, landscape fabric, edging, tools, and more to serve home owners and professional landscape and irrigation contractors alike. Sean and Katlyn Stefan purchased the company from Steve and Bev Kesslering in 2014, with Steve remaining on board to continue to benefit the operation with his 35+ years of experience and expertise in the industry. Since 2010, the business has grown from 3 to 7-10 employees. The Rusty Shovel takes pride in creating quality relationships with our customers and suppliers. We’re always looking to supply new, top-notch landscaping materials! Sean cut his teeth in the landscape industry doing irrigation design and supply with his uncle Steve Kesslering. With over 11 years of experience Sean has now become a veritable know it all when it comes to landscaping. From ponds to putting greens and everything in between Sean has seen it all. 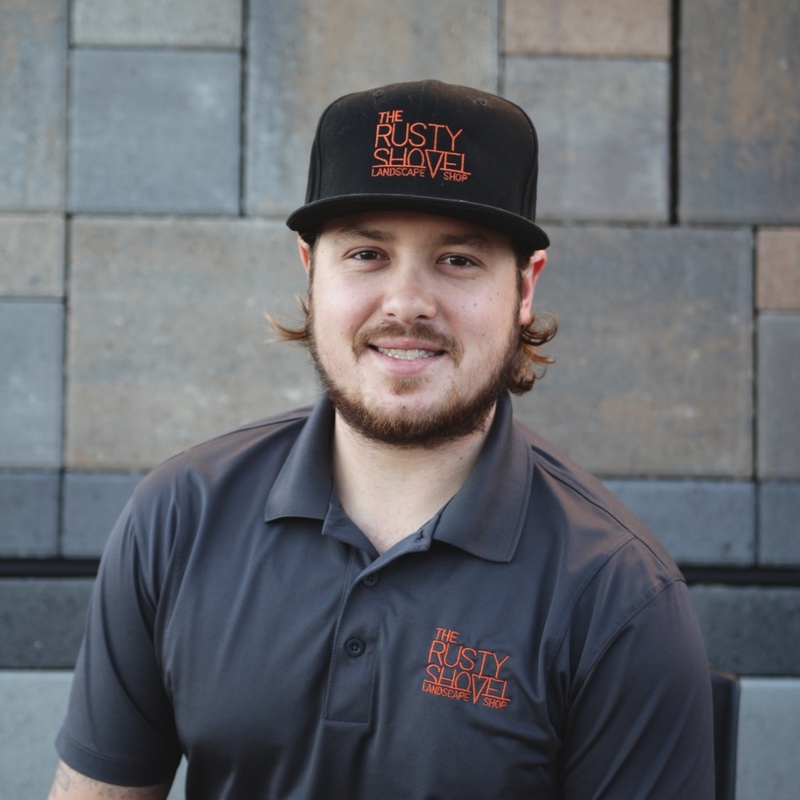 By constantly going to training and making sure his staff goes along as well Sean has been able to set up The Rusty Shovel Landscape Shop with the best product and staff the Queen City has to offer. Jesse, “the guy with the hat”, brings a Certificate in Sustainable Landscape Design (with Honours) and a Diploma in Organic Land Care…as well as a keen eye for design to the Rusty Shovel team. 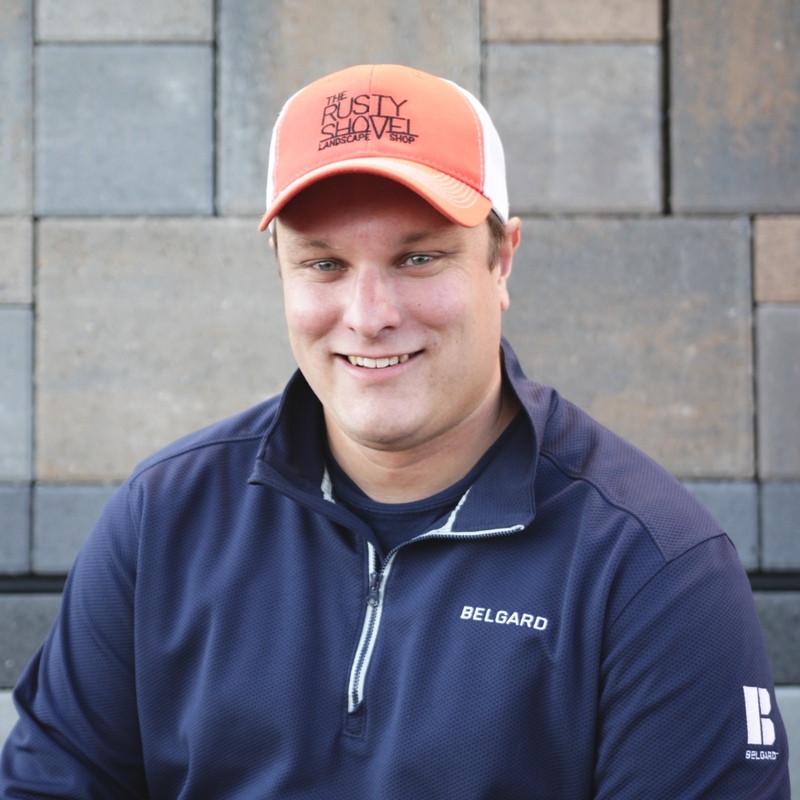 Jesse’s strength in design combined with his knowledge of what products are out there, as well as his additional industry training give him the insight it takes to know what makes a landscape look good and also what makes it functional. Jesse has designed everything from small residences to acreages. If you are looking to take your project or yard to the next level look no further. Not only does John bring a love of landscaping to the team he also brings his experience as a Journeyman Electrician. His history made it easy to slide John in as our landscape lighting expert but he has proven he is more than just a lighting guy. 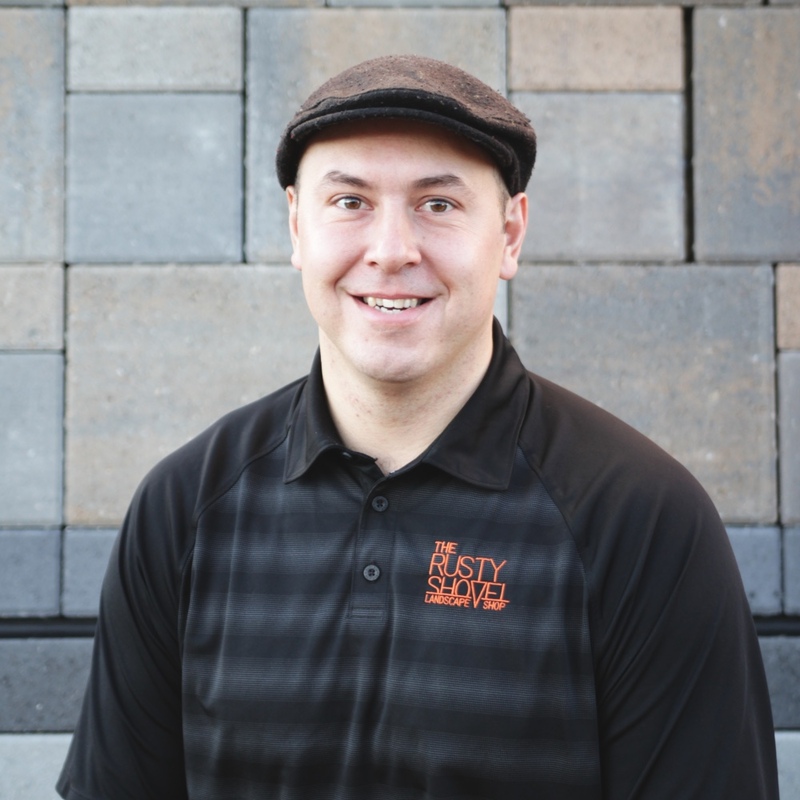 John has taken on every training opportunity he can and has become a go to guy for hardscapes, artificial turf, water features and pretty much anything else we carry. If you need some installation direction or help picking the right products John is your guy. 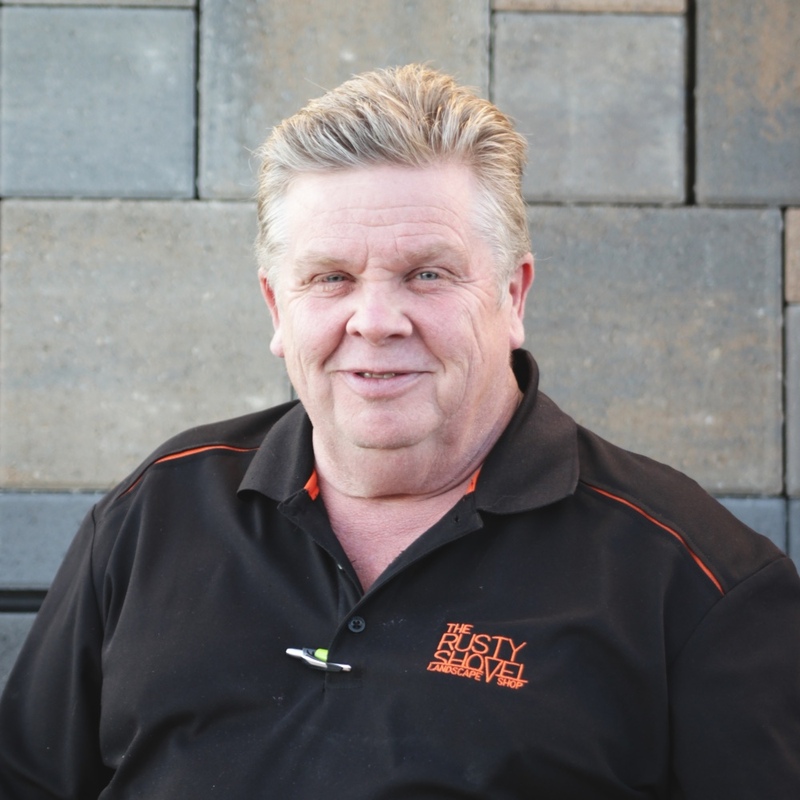 Terry has over 30 years of irrigation experience and is our “head of all things irrigation”. Terry has seen and fixed every irrigation issue you can think of and he continues to do so to this day. If customer service and an inviting smile were able to be trademarked he would own that. Not only is Terry our irrigation knowledge center he has also learned all of our other prodcuts and can pick you out the parts to make any project a reality. Terry works best with a coffee in hand and a problem to solve so bring your landscape problems and a coffee and Terry will get you sorted out. Betty is in control of everything administrative and always knows where operations are at in the shop. She is likely the first voice you hear on the phone and is known best for making problems go away. She just so happens to know about all of our product as well, making her doubly important to operations. 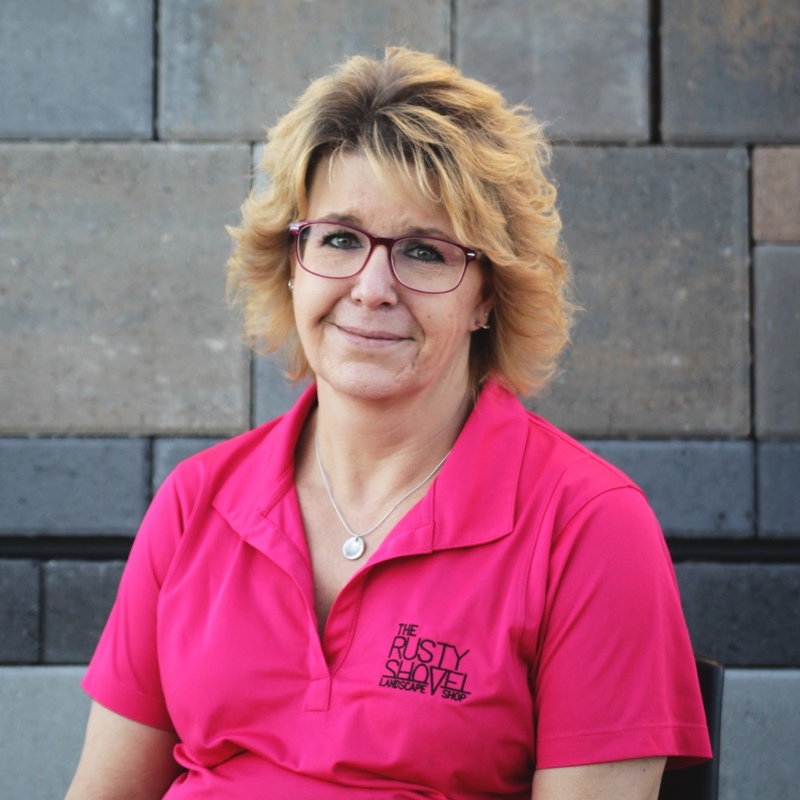 If you are looking to chat landscaping or check up on your orders Betty is always ready to help. 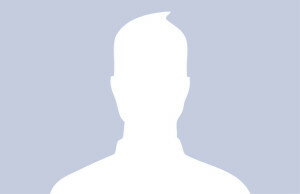 In his earlier years Steve owned and operated an irrigation installation company, which he ran successfully for decades. Now that he is behind a desk, it does not make his knowledge any less valuable. Steve can source any part for any job and when the rest of us can’t figure out an irrigation question the problem gets put to him…and is promptly solved. As the original knowledge and experience base that brought The Rusty Shovel to its prominence today, Steve has solutions for even the toughest landscape jobs. Before The Rusty Shovel, Tony managed a landscape contracting company. As a long-time landscaper Tony specialized in irrigation and quoting and does just that for our customers (quotes irrigation). He has installed and designed more sprinkler systems than any one man would probable care to…unless you are Tony. Outside of irrigation Tony has also managed the installation of many full landscape projects that include everything from paving stone to artificial turf so he isn’t just a 1 trick pony. Tony is one of the good guys and always willing to lend a hand.